Ahan Shetty is being launched as an actor by producer Sajid Nadiadwala in a remake of Telugu hit "RX 100". 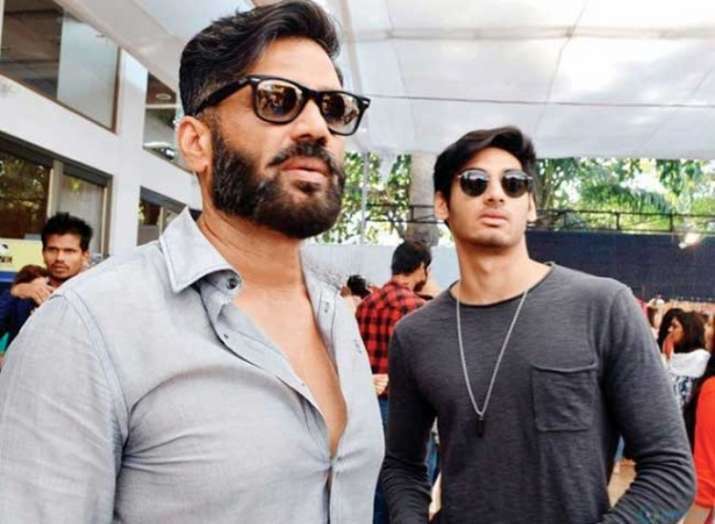 Bollywood actor Suniel Shetty says if his son Ahaan Shetty, who will soon make his Hindi film debut, remains disciplined, honest and thinks about his producers more than anybody else, he will be successful in his career. Suniel was interacting with the media at an award ceremony of Nitrrothon by Nitrro Bespoke Fitness here on Tuesday. His son Ahan is being launched as an actor by producer Sajid Nadiadwala in a remake of Telugu hit "RX 100". Talking about his son's debut, Suniel said: "He is a simple boy and God has been kind to him. He will start shooting his film soon. He has associated with a good script, producer and director in his debut film. "Everything is good and if lady luck favours him, if he stays disciplined and honest and if he thinks about his producers more than anybody else, he will be successful. Otherwise, it's someone up there who has to take care of him." On his daughter Athiya's film career, Suniel said: "Athiya has signed three to four films. She has started shooting for 'Motichoor Chaknachoor' in Bhopal. She is very excited and happy, so I am feeling satisfied that she is doing quality work." Talking about the government's Fit India movement, Suniel said: "We needed a movement like 'Fit India' since a long time. We introduced yoga to the entire world, so I think we have always been a leader and if we talk about 'Fit India' movement, then it is also important to execute it as well on every level, especially at school level." Suniel was last seen on-screen in "A Gentleman" along with Sidharth Malhotra and Jacqueline Fernandez.